Prospective and current students, parents, and high-school counselors are cordially invited to the School of Pharmacy’s fourth annual Pharmacy Day, organized in collaboration with the Office of Student Development and Enrollment Management. It is an opportunity to learn about the school and what it offers by speaking directly with supporters, leaders, faculty, and students. Admissions, financial aid, and student services officers will also be on hand to answer questions. 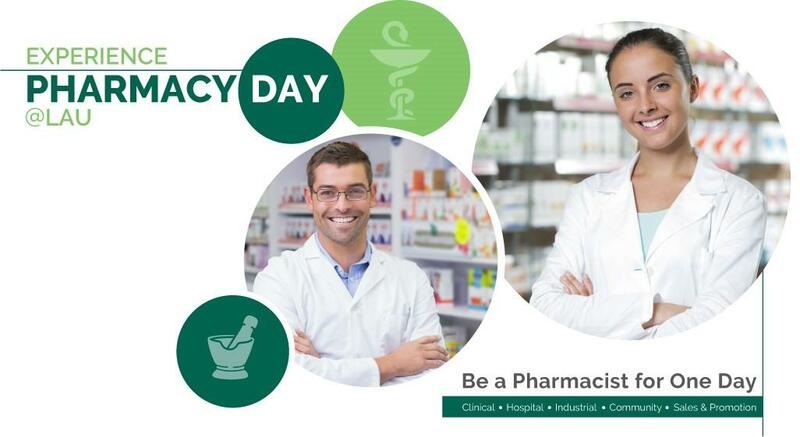 LAU students and faculty will showcase the role of the pharmacist in various settings — community, hospital, clinical, academia, industrial, regulatory. General health and wellness checks will be conducted on site. High-school students (and their parents) who are interested to attend or reserve transportation from Beirut campus are kindly requested to call 09-547254, ext. 2315 or email Manale Helou.